If you think that only computers can get viruses, think again. According to a report by research group Juniper Networks, hackers are increasingly targeting smartphones and other mobile devices with malicious software (also known as malware) to gain access to personal information. The threat is still small in comparison to computers, but that doesn’t mean you shouldn’t take precautions to protect your smartphone. This week, I took a look at two mobile security apps that can help monitor and alert you to any potential threats. 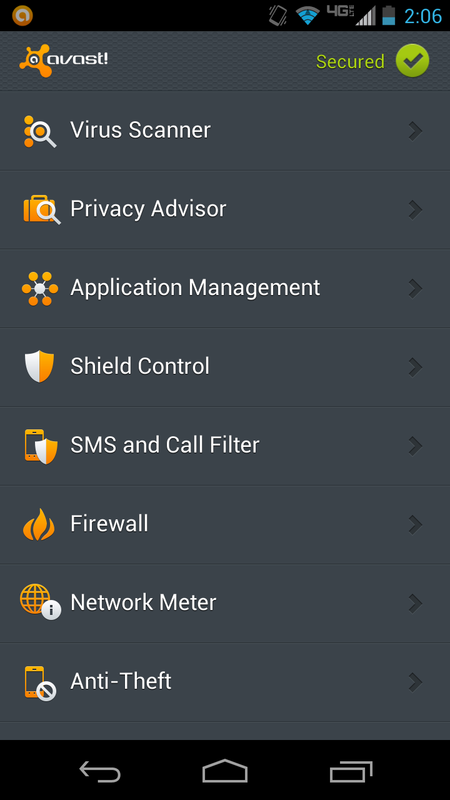 They are Lookout Mobile Security and Avast Free Mobile Security. Both are free (Lookout also has a paid version with extra features), and both scan your phone for malware, backup contact information and more. I’ll go into more detail about each app later in this column — don’t worry, your smartphone won’t be riddled with annoying pop-up ads — but first, a little more explanation on malware, what it does, and how it gets on your phone. 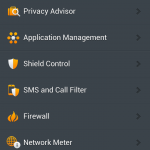 Malware is software that can wreak havoc on your mobile phone, often without your knowledge. Depending on the type of malware, it can access private information, such as passwords, which can lead to identity theft; it can also track your location, make unauthorized charges to your cellphone bill, and more. As with computers, problems can arise when you download apps or files from unknown sources, click on suspicious links, or browse unsafe Web sites. Most people are wise enough to avoid such traps, but hackers are sneaky in the ways they disguise malware. For example, it may look like you’re downloading a legitimate free copy of Angry Birds or clicking on a link to the Google Play Store, but they could be fakes. Once you open a malicious app or visit an unsafe Web site, the malware can install itself on your phone and start doing harm. Apple and Google both have procedures in place to help keep malicious apps out of their respective marketplaces. Apple has a very rigorous review and app-approval process. As a result, the iPhone is less susceptible to malware attacks, though not completely immune to them. 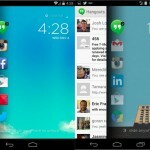 Google’s Android operating system is less curated than Apple’s. On the one hand, this allows developers to release and update their apps faster. 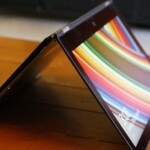 But it also opens the door to more counterfeits and attacks. 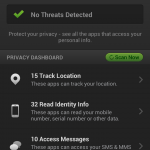 Lookout Mobile Security is a free app for both iOS and Android devices. Its basic features include scanning your phone for malware and viruses, backup and restoration of contacts, and remotely locating your phone. There is also a premium Android version, which I found to be the most useful. It includes a privacy report for all apps, and the ability to remotely lock and wipe your phone’s data in case it’s stolen, among other things. The company offers a 14-day trial of the premium app; afterward, it costs $3 per month or $30 a year. 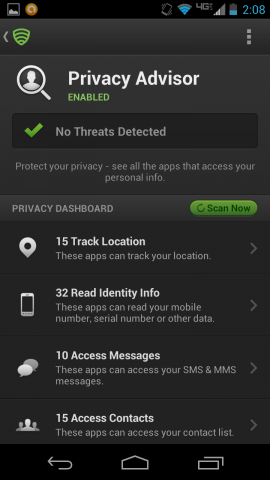 I tested Lookout on the Motorola Droid Maxx HD and, upon launching the app, it immediately scanned the smartphone for any potential threats. It also ran tests every time I downloaded an app from the Google Play Store or from GetJar, an independent Android marketplace that I use. I downloaded a fake virus called Eicar from the Google Play Store (the app does not harm your device, and is used for testing mobile security apps). As soon as it started downloading, Lookout alerted me that it was a virus, and that it should be removed. There are options to find out more information, as well as an uninstall button. Lookout’s privacy report feature was extra helpful. 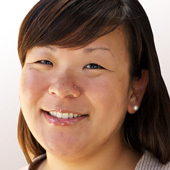 It showed which apps were accessing which information — location, contacts and messages, for example. I always skip over the terms of agreement and permissions while downloading an app, but this feature gave me an easy way to see what each app was doing. I also like that I could back up my contacts to Lookout’s Web site. One other cool feature of Lookout is Signal Flare. 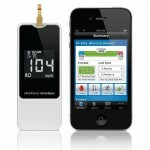 The tool automatically records your phone’s location when your handset’s battery is low. Lookout said it created the feature after learning that about 30 percent of people were unable to locate their lost or stolen phone because their battery was dead. I tried it out on my iPhone 4, and after it went completely dead, I logged onto Lookout’s Web site and found its last location pinned on Google Maps under the Missing Devices tab. 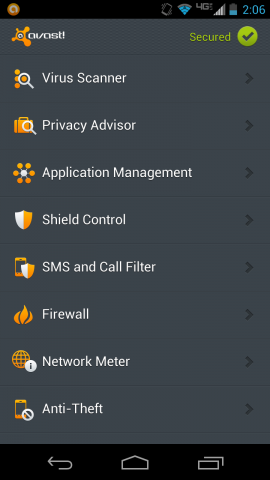 Avast Mobile Security offers many of the same features of Lookout — all for free. But it only works with Android devices. I thought this mobile app’s interface was cleaner and easier to navigate than Lookout’s. I scheduled it to run a scan on my apps and SD card every day at midnight. It ran the tests with no problem. 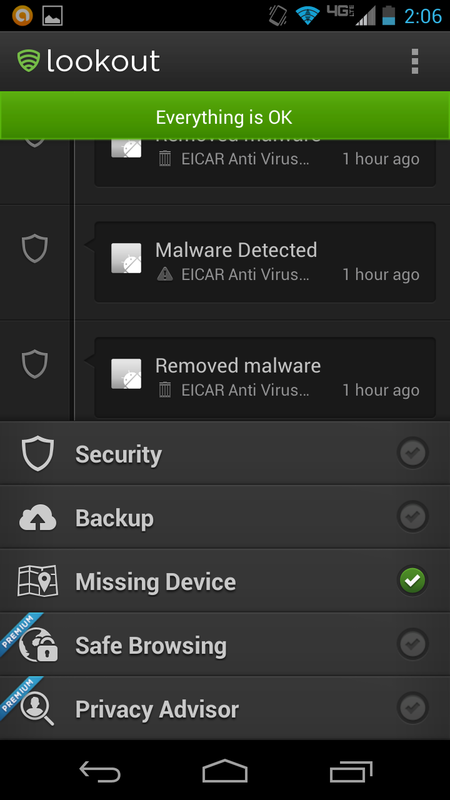 I also used the Eicar test on Avast. 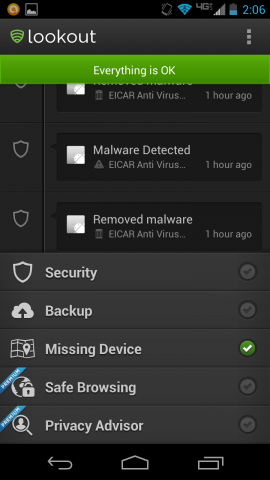 It displayed a message right away, saying, “Eicar Anti Virus Test has been reported as malware,” and it gave me the option to get more information or to uninstall. 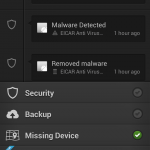 Avast lacks a backup feature like Lookout’s, which was disappointing. 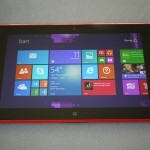 But the company says it plans to offer this function early next year. 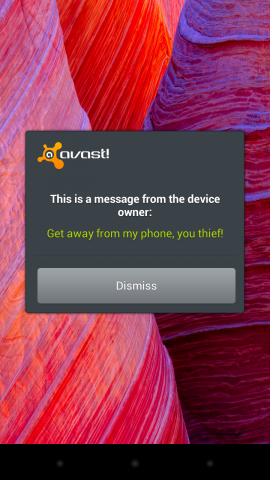 That said, Avast offers a plethora of tools to keep your data safe if your phone is stolen or lost. You can remotely lock it, trigger a siren or wipe data. You can even send a message to display on your screen, such as “If found, please contact this number,” or “Get away from my phone, you thief!” All worked well in my tests. 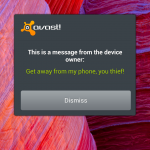 Some of Avast’s features will be overkill for the average consumer. For example, there’s a Firewall mode for users who have modified their phone, so hackers can’t access their device. Without mobile security apps, you can protect your device by doing things like only downloading from trusted sources, reading app reviews, and not viewing or sending private details over public Wi-Fi networks. But the number of malware attacks is on the rise, and if you want to go a step further, Avast or Lookout can be a great help.